disappeared, but he is unable to reconstruct what has happened... The disappearance of his recently conquered girlfriend drives rather shy Iasonas to despair and evokes confusing delusions in his already fragile mental makeup. A psychological thriller without redemption, with an outspoken visual language. Born in 1976, Alexis Alexiou has a degree in Physics from the University of Athens and has studied cinema in Greece. His short films have participated in numerous international film festivals. 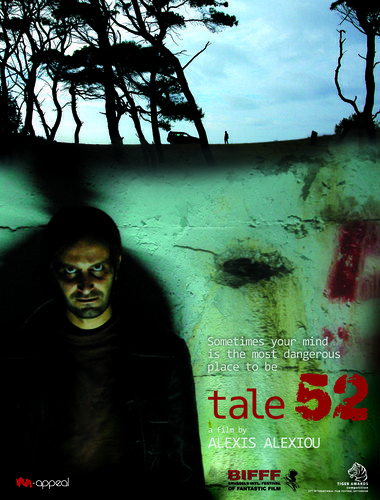 Tale 52 is his debut feature.